It’s Fathers’ Day today and this time of year often makes me reflect on the story of the Prodigal Son. In Luke 15, it says the son, although living in a wealthy home, decided to break free from the family he had been raised with. He wanted his inheritance early so he could explore the world for himself. He went to his father and asked for what was owed to him, not realising that by exploring the world on his own, he was removing himself from his foundation, from the source of everything that was good in his life. Over time, the son ran out of money and found himself eating pig food to survive. However, despite making a terrible mess of his life, he was still the son of a very wealthy man. He had walked away and made very bad choices, but his father still loved him. The son decided to go home and ask if he could be a servant in his father’s home to repay his debt. However God’s Word tells us that when the father saw his son, he ran to him and embraced him. You see, no matter what the son had done, he was still a son. No matter what he did, he would always be the son of a very influential man. We can take many thoughts from this story but it makes me think about the nature of fatherhood and how can we rely on our Heavenly Father, no matter what we go through in life. I am a father and a grandfather, and as a dad, I am part of the foundation of my family. It is my job to bear the burdens and responsibilities of my family, as well as enjoy the many blessings. Some years ago, I wrote an acrostic of the word ‘Father’, which has helped to remind me of what a Father looks like and what our Heavenly Father longs to do for us. Although grown up with families of their own, my kids expect me to be faithful. I am committed to being faithful to them and our family and in the same way, we can trust God to be faithful to us. Just like the story of the prodigal son, He is faithful to us, even when we are not faithful to Him. When my children were younger, I was aware that they hung on to every word I said. It is the same with our Heavenly Father, we can hang on to every word He says, because He is able, to do more than we can ever imagine or think. In the same way that my children expected me to be faithful, they knew also that I was trustworthy. Although I did not always get things right, they could always trust me. It is the same with God – we CAN trust Him. Even after the death of our son Jamie, we discovered that God gave us hope in the middle of a hopeless situation. We don’t always get the good outcome that we hope for, but even in a very broken world, there is still hope. This is the hope our Father gives us – He came to die for us, to give us the gift of hope. God is also everlasting, and His presence is with us wherever we go and whatever we do. As an earthly father, I love my kids with every cell of my being and over the years, I have worked hard to provide for them. As I have grown older, I have realised that the most precious gift I could give them was my presence, not any fancy gadget. God’s love for us is everlasting and He wants us to be and live in His presence. As a dad, when my children were younger, I would often get up in the night to check on them. If they were uncovered, I would pull the blankets up and make sure they were sleeping peacefully. The Word says that God watches over us, but (unlike a human father), He never slumbers or sleeps. He is reliable and relevant in every situation. That is what a picture of our Heavenly Father looks like and it is a great picture to cling to. But what if you did not have a good father? 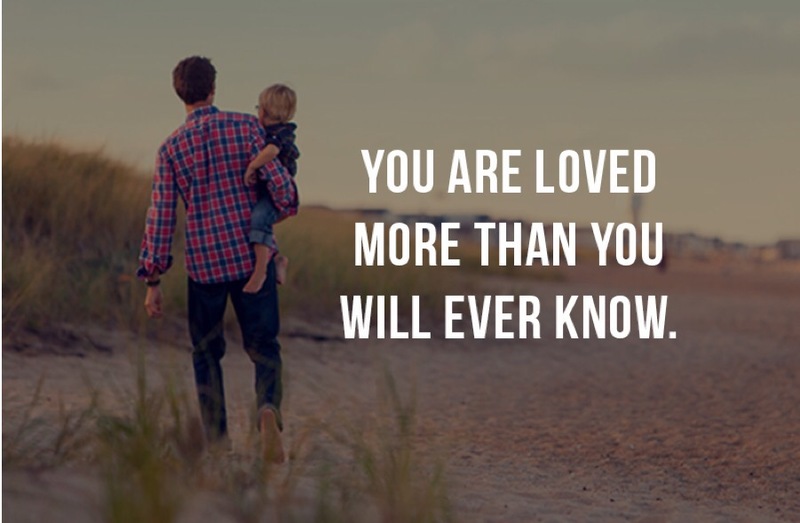 I am blessed because my father was a wonderful dad and a Godly man, but for those who did not have that experience, this is where you can learn to love your heavenly Father. He is the Father to the fatherless! Humans and earthly dads can let us down, but the Creator of the universe calls himself ‘Abba’ meaning ‘Daddy’. We can go to Him at any time, He is our sustainer and He can lift our heads high with hope. He knows when we feel alone or unloved and even in death, He remains the resurrection and the life. Even if your experience of fatherhood has been flawed, there is a great, heavenly Father who will always care for us, no matter what we go through. He is the perfect example of Fatherhood and He is available to us all. Previous postIn a time of terror, the Lord is the stronghold of my life.